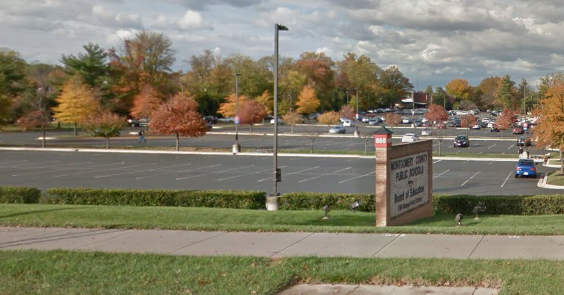 A letter to the Montgomery County Board of Education and County Council regarding a proposed school bus depot at the Carver Educational Services Center was unanimously approved by Rockville's Mayor and Council last night. It asks the County Council to delay a declaration of "no further need" for the site as a bus parking lot until all concerns have been addressed, and all other options exhausted. "I don't think the Board of Education is aware of the full impacts to the City," Councilmember Mark Pierzchala said before the vote. Concerns include traffic and safety in the surrounding neighborhood, additional congestion of roads in the area, and the negative impact the use would have on the Carver historic district. The bus parking is theoretically a violation of the requirement that any future uses of the Carver site respect the historic viewshed and 150' buffer area the City established in the past. The County Council is poised to declare the County has "no further need" for its existing school bus parking facility in Shady Grove, which a developer has acquired for a residential community near Metro. As part of Montgomery County Executive Ike Leggett's "Smart Growth Initiative," as outlined in the RFDP, a viable new parking site (or sites) for the buses and maintenance facilities was to have been identified before the existing Jeremiah Park site was turned over to the developer. That did not happen for the usual "mysterious" reasons under the Montgomery County political cartel. Rockville elected officials expedited the drafting of a letter, in the belief that the Board of Education would be voting on the matter this morning. But later in the discussion, Maryvale ES PTA VP of Advocacy Melissa McKenna reported that no BOE vote was expected today. In a historic moment, McKenna - who had been at the meeting earlier Monday evening - informed the Mayor and Council of this via Facetime on an iPad held up by Paul Geller, a PTA official from the Sherwood cluster in Olney. This was the most interesting use of technology at a Rockville meeting since a developer used a Blackberry to jam the microphone, while delivering news that wasn't expected to be well-received by the public years ago. This time the technological breakthrough was actually of help to officials, but Pierzchala couldn't help but wonder about "the propriety of having a tablet speaking to us." The letter was largely drafted by Pierzchala, who said he did extensive research on the issue. Mayor Bridget Donnell Newton added additional points earlier Monday evening, including new remarks from Nancy Piccard of historic preservation organization Peerless Rockville. Moving the buses to Carver would be "detrimental on many levels," notes the letter, which supports an existing letter from BOE member Phil Kauffman, who is running for reelection this year. "This gets us on the record," Pierzchala told his colleagues. "This to me is something we're saying that really needs to be evaluated." Noting that Montgomery County Public Schools had declined an invitation to address the Mayor and Council earlier this year, Pierzchala said, "There is a whole lot wrong, in my opinion, with this process at the County level." He added that dispersing buses to numerous sites would be counterproductive, as many buses need help getting started in cold weather. If mechanics are not on the same site as the parking, he warned, kids could end up stranded at bus stops. McKenna said she thought James Song of MCPS "would have been willing to come," but he had no information to present. No study has yet been done, and no funds have been appropriated in that direction, she said. "I don't buy that they didn't know what to do," Pierzchala said. "[MCPS] could have suggested they would come to the city, as well," Newton argued. Councilmember Beryl Feinberg was not happy with the process on the Carver debate up to this point. "What disturbs me about this is that we have not had a session to discuss this issue," she said. "It would have been a more open and transparent [process] if we had had a hearing and staff report. It feels like it's being a rush. All the facts have not been right out here." Newton acknowledged that, but said the apparent rush to judgement by County officials required them to act expeditiously, particularly when it was thought a vote was imminent today. "That's kind of what happens on some of these issues. We need to take a stand," Newton said. "There has never been a presentation here," Feinberg responded. "It has never been presented to us as an elected body. This process is not something we should be proud of." Councilmember Julie Palakovich Carr said all members knew the letter would be coming before them Monday night. "I see no reason to not vote on this tonight," she said. Pierzchala moved to approve the letter after the Mayor and Council refined the final paragraphs. His motion was seconded by Councilmember Virginia Onley. Acting City Manager Craig Simoneau said the letter would be sent out Tuesday morning.